For our most recent book club we read and discussed Free to Learn: Why Unleashing the Instinct to Play Will Make Our Children Happier, More Self-Reliant, and Better Students for Life by Peter Gray. We were initially drawn to this book because of how it embraced play and we were excited to read, learn, and discuss teaching methods that are not often embraced by the public schools. Our book club meeting was lively and you can find a recap of our discussion below. Gray describes trustful parenting as the belief that “children’s instincts can be trusted, that children who are allowed to follow their own wills will learn what they need to learn and will naturally begin to contribute … when they have the skills and maturity to do so” (26). He explains that this style of parenting has deep roots in human history and was used by our hunter-gather ancestors whose children were “allowed to spend most of their time playing and exploring freely” (28). Gray traces the decline of trustful parenting to the decline of neighborhood playgroups and the rise of fears about safety and future job employment opportunities for their children as well as the role of schools (213 – 218). Gray advocated for a resurgence of trustful parenting and argued that considering alternative schools might be a necessary step to becoming a trustful parent (226-227). Since trustful parenting and the education system are seemingly at odds with one another. 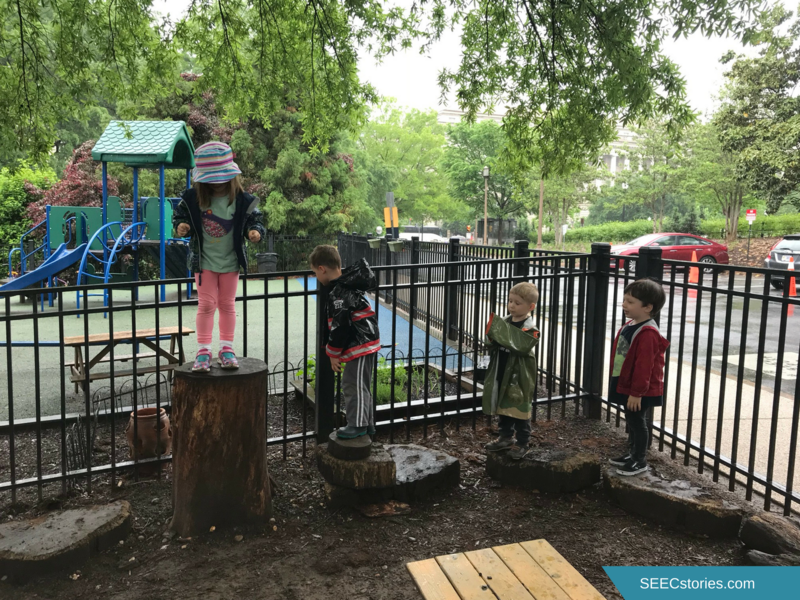 We decided to look critically at the parenting philosophy and see how if it could be adapted to a teaching philosophy that we could embrace at SEEC. In some ways, it was easy for our SEEC educators to say that they were on board with a trustful teaching philosophy. We fully embrace the importance of learning through play and exploration and believe in child-directed learning. We hesitantly agreed to the children’s use (or at least being exposed to) of adult tools, even the dangerous ones, because we believe that children learn through objects. At school, we are comfortable with children taking risks, while as educators we simultaneously try to minimize hazards. This balance between risk and hazards was what Gray was describing when he explained that children are trusted “to have enough sense to not hurt themselves” with “some limits”, such as the “poison-tipped darts or arrows (that) are kept well out of small children’s reach” (29). There were reasons that we had difficulties embracing the philosophy of trustful parenting and therefore were unable to adequately adapt it. In many ways, being a teacher and trying to impart knowledge on a child goes against the philosophy of trustful parenting. As educators, we all felt that a crucial part of our jobs is to impart knowledge. This means that while being receptive and responsive to the children, we make lesson plans with the goal of opening their eyes to new things. We actively monitor our children to make sure that they are meeting developmental milestones and try to seek out ways to encourage growth in areas that children are not mastering by themselves. While we trust children to learn, we also hope that our children will trust us as teachers to help guide them. While Gray mostly focused on shame used as a tool against older children, we found that this argument could be applicable to the field of early childhood education. Gray explains that using shame as a tool to entice children to perform better actually causes an increase in cheating (73). While young children are unable to cheat, they are able to lie and we know that children are much more likely to lie about a situation if they are worried that they will disappoint us. For this reason, we decided that it is crucial to look at how we are treating children when we are disciplining or redirecting their behavior. At SEEC, we never purposefully shame children into changing their behavior. But, we wondered if there were times when we might have been shaming unknowingly. While having this discussion, we came to another question, “What is the difference between correcting and shaming?” We decided that at least one key component of trying to change a problem behavior without shaming was to describe why that behavior cannot be allowed to continue. Rather than saying “Don’t do that!”, we should say “When you hit, it hurts my body” or ask an older child to explain why that behavior cannot continue by asking them “Is that hurting someone?”. These are pillars of SEEC’s behavior management philosophy and we feel comfortable using them. After reading Free to Learn and thinking deeply about the role of shame in discipline, we left the discussion unable to draw a distinct line between correcting and shaming. In the end, we decided that we all needed to go back to our practices and be mindful of this topic. Much of Free to Learn is a description and study of the Sudbury Valley School. Gray explains that to “visualize the Sudbury Valley School, you have to set aside all of your notions of what traditional schools look like, including your notions of what progressive versions of traditional schools look like” (88). We found this statement to be true. Sudbury valley is indeed “something entirely different” (88). The Sudbury Valley School is founded on the belief that the students, as a democracy, run the school and are in charge of their education. Staff members, which there are very few of, are not called teachers “because they recognize that students learn more from one another” (90 – 91) and must be reelected by the students yearly to keep their positions (90). Children are able to explore the entire campus whenever they want, do not have grades or tests, and do not have to join a single class. The principle tenet of the Sudbury Valley School is that “each person is responsible for his or her own education” (91). In some ways, the Sudbury Valley School was almost impossible to compare to other schools. As a group we found this both frustrating and enlightening. It was frustrating because so many of the practices highlighted seemed impossible to adapt to other schools, particularly public schools. We discussed how some public schools want to be progressive, but testing and pressure make it impossible. The pressure on schools, teachers, and students is so overwhelming that no one is willing to experiment or try new educational methods. This problem also extends past discouraging teachers from experimenting with new educational methods. It was recently discovered that D.C. public schools graduated more than 900 students who had not earned their graduation last year. With this need to push children through the school system, rather than considering their needs, how can schools be expected to take a gamble and embrace such extreme teaching alternatives? At SEEC, we are lucky to be able to discuss concepts, adapt them, and implement them in our own ways. Even though our student population is under the age of six, we value their voices. 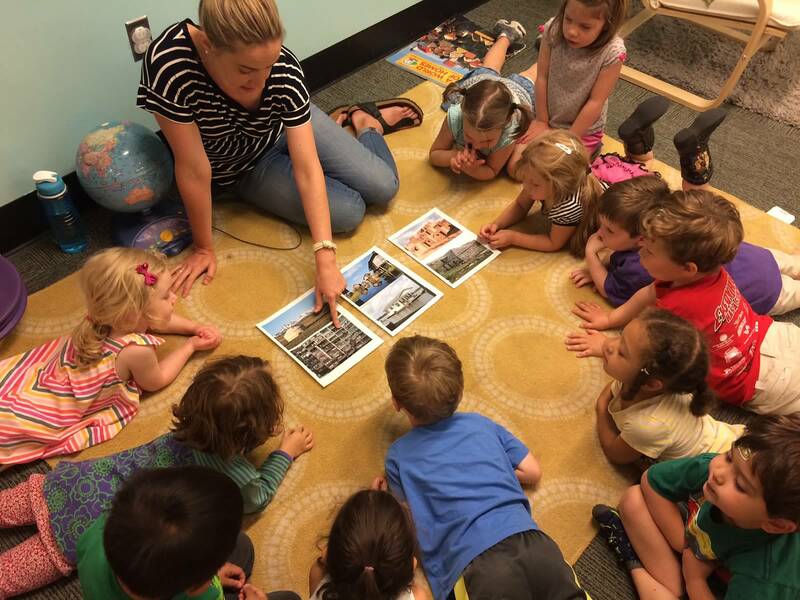 Students as young as two years old regularly hold votes about what the class should learn about next. 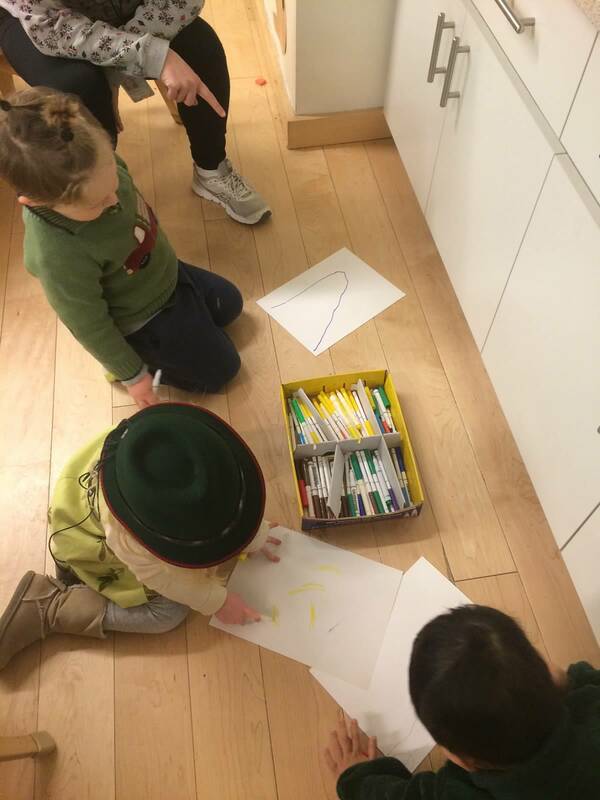 At the beginning of the school year, our four-year-old classes create a class contract, which explains the rules of the room, and the teachers and students sign it. We are able to embrace democracy within limits and still give each child a voice. We believe that children are constantly learning from each other. Rather than try to solve disputes, we give children the words to create their own solutions. For example, if two children are fighting over a shovel, we could say, “It is Sally’s turn for five minutes and then it is Jose’s turn for five minutes”. Rather than forcing a teacher directed solution in that manner, we say “I see there is problem here. What should we do to fix it?” The children may very well choose a five minute on, five minute off solution, or they may decide that Jose should play with it because he is wearing blue shoes and the shovel is also blue. So long as both children agree, a SEEC teacher will happily accept this solution. We believe that when children are given the freedom to learn from each other, they learn critical thinking and real life skills. Our goal is to help children discover these skills and grow to love learning. While we were unable to incorporate all the things that Gray advocated for in Free to Learn, we were able to have a vibrant discussion on the book. 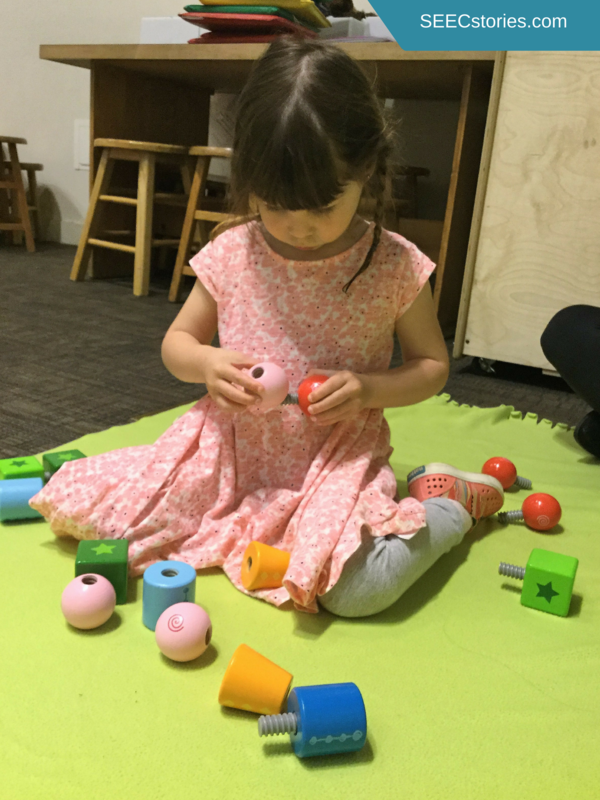 In the end, we valued Gray’s embrace of learning through play but advocated that thoughtful educators can have a meaningful place in a young child’s learning. I reflected on these concepts and how they related to my own teaching. 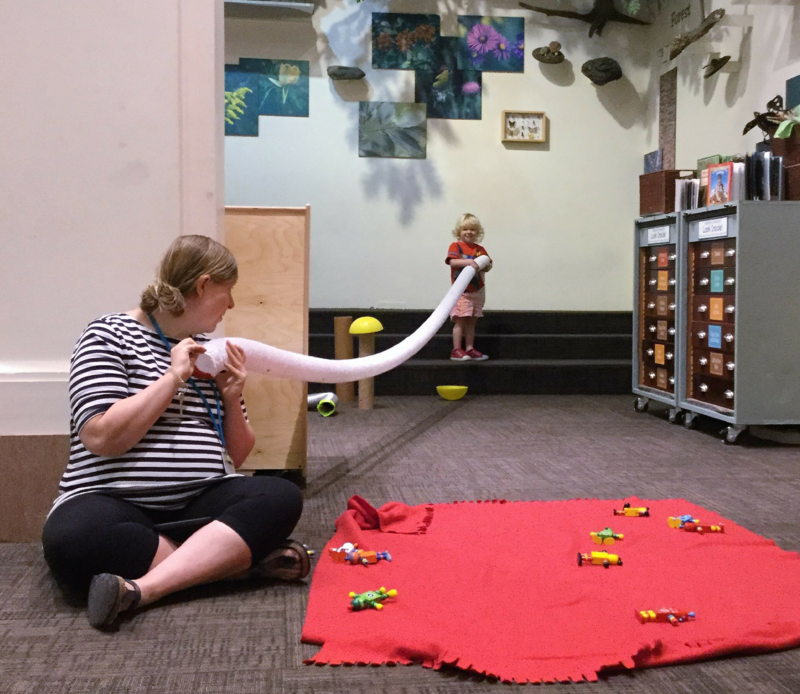 I wondered how I could incorporate more play into my practice, especially when I was in the museums. 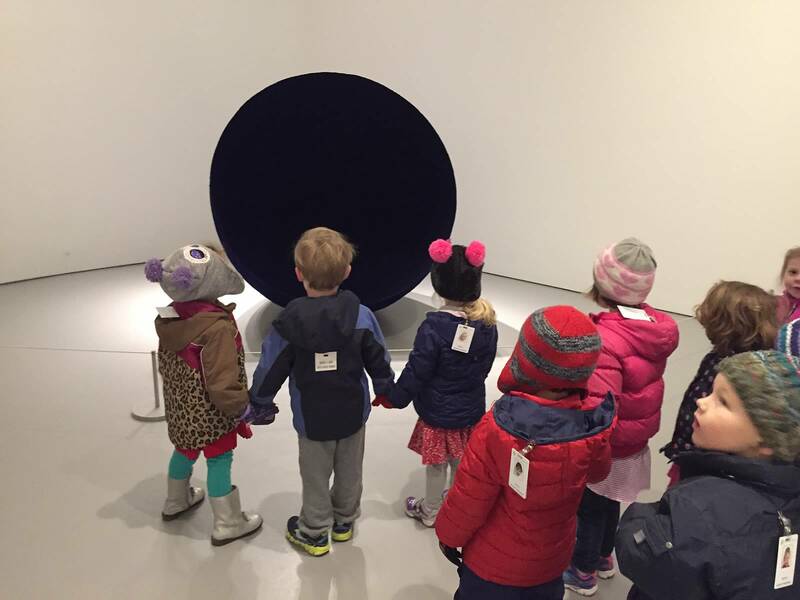 I decided to try out some new play strategies on a recent visit to the National Gallery of Art with a group of preschoolers. The sun is always moving through the sky. I took this opportunity to ask the rest of the class whether they had ever noticed the sun moving through the sky too. They immediately offered their own examples. At that moment, I decided we should play the Earth. I asked everyone to stand up and slowly turn their bodies. I grabbed a parent and had her stand in the center pretending to be the sun. As we moved, I explained how it was actually the Earth’s rotation that made it look the sun was moving in the sky. This was a completely unexpected and child-initiated moment, which was great. I think it was the playful element though that really made the experience memorable. If I hadn’t asked the children to get up and pretend to be the Earth, they would have been less likely to understand and remember the concept of rotation. By having them participate in the experience the concept was made real, tangible. Part of the seminar was inspired by our colleagues at Discovery Theater. This session was, as one would expect, more theater driven and honestly, really challenged me. As the class continued to describe the Durand painting, I added secondary questions to enliven the discussion. For example, when the ocean was observed, I asked them to show me with their bodies how the ocean was moving and then I asked them to make the sound of the waves. The kids were happy to illustrate both for me so when it came time to talk about the clouds and wind, we added sound effects and movements again. These exercises captured the essence of the painting, encouraged different learning styles and made everything more fun. As the last part of the object lesson, I laid out several objects and asked them to work together to recreate the painting. They needed no instruction, but went right to work, collaborating until the composition was complete. Was it exactly like the painting, no, but they had used these tools to create their OWN composition. They were quite proud and were completely engaged in the activity. I saw them looking back at the painting, rearranging objects and making their own decisions. All in all, the visit felt playful and meaningful. I am continuing to think about how to make my lessons more playful and how play can be a tool for learning within the museum environment. If you have any ideas, please share!!!! 1. Journal of Museum Education, Volume 37, number 1, Spring 2012, pp. 49-58. On April 25, 2015 at the National Gallery of Art several DC schools, including SEEC, and Harvard’s Project Zero celebrated the launch of a book authored by over 300 students. The book was the result of a research and professional development project entitled: Children are Citizens: Children and Teachers Collaborating across Washington, D.C. The premise of this project is the belief that children are as much part of the community as their adult counterparts. They should not only be able to voice their opinions, but also participate in their community. Through their participation children will learn to see other’s points of view, work together, and understand how we are all interconnected, thus creating an informed and thoughtful citizenry who will become active participants in our democracy. To learn more about Project Zero and this collaboration visit here. The first phase of the project entailed some thoughtful discovery. Children and teachers had several conversations about what they thought of their city, what they would like to change, important people and places. The second phase culminated in a book where SEEC students focused on their relationship with the museums on the National Mall. Three classes participated in this project—PreK3, PreK4 and Kindergarten. Our first installment in this series featured our PreK4 class (insert link) and this installment will explore our PreK3 class, the Wallabies. Their section of the book focused on their favorite parts of the Air and Space Museum, the Hirshhorn Museum and the National Museum of American History. This interview was conducted with, Erin Pruckno, Wallaby teacher. What made you want to participate in this project? I wanted to participate in this project because the concept of citizenship and education is something I’m very interested in and was a major part of my master’s degree in International Education. In my studies, I encountered a lot of scholarship about citizenship education—how we educate students to be citizens, how students are citizens, the definitions of citizenship—however, not many touched upon citizenship and young children. This always irked me because, as an early childhood educator, I believe wholeheartedly that education at this age matters so much and that young children should be treated as citizens who have a vital role in our communities and our futures. So, I jumped at the opportunity to put to action these ideas. Could you describe the process through which your class participated in the project? We began by going on investigatory visits to the museums we were covering for our contribution to the book the project published. The Wallabies contributed pages on the Hirshhorn Museum, the National Museum of American History, and the National Air and Space Museum. During these visits, I looked for clues to what the students were interested in, as well as documenting their experiences in these spaces. Later in our classroom, we followed up with conversations on our visits; asking them about what was important about our museums, what other children should know about them, our favorite things there. I really wanted to encourage a sense of ownership from our children and to convey their passion and expertise to the book’s audience. We would then go on follow-up visits to the museums, continuing our conversations, and then later illustrating some of the things they saw or described. Can you outline how this project was implemented in your classroom? We tried to integrate the project into our already existing courses of exploration. For example, when we were learning about space, a trip to NASM was easy to do since it aligned with our topic and we could have a museum visit as well as research trip for the project. Other times, we set aside days to visit the museums and document our learning just for the purpose of the project. How did the professional development portion of this project help or change your ideas of how to teach or connect children to the city in which they live? the class and more of a back-and-forth between me and individual students. This project encouraged me to take a step back during classroom conversations and listen more—allowing students to talk to each other instead of directly to me. The project seems to emphasize collaborations and discussion, is there a conversation you had among your students that really stands out? Some of our most interesting conversations started when I would ask the Wallabies to share the most important thing to know about the museums and the students began talking about things you can’t do in museums. 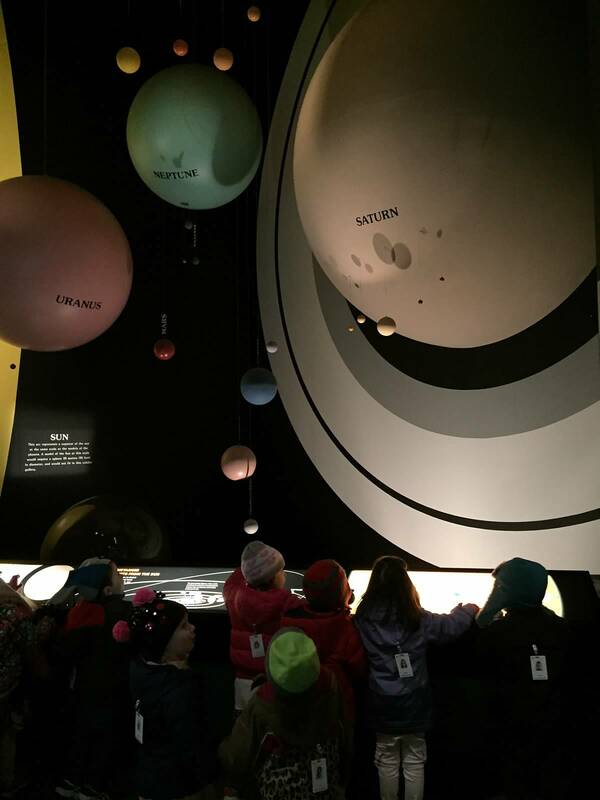 As I sat back and listened, letting them guide the conversation (which was, as I said, a challenge and learning experience for me), dramas would unfold about why we couldn’t touch exhibits or the planetarium screen. They came up with elaborate stories about how touching the screen would make a hole, creating a problem, workers would have to fix it, and the president and other people coming to the museum would feel sad that it was broken. How do you think your students views of DC changes during the course of the project? My hope was that my students expanded their understanding of other children in D.C. They already have a strong understanding of their families’ communities (coming from neighborhoods all over D.C., Virginia, and Maryland) and of our SEEC community, but I wanted them to think more about other students in D.C. By asking them to think of what other children need to know about the museums, I think they became more aware of how there are children outside our community who do not know the museums as intimately as they do, and that these other students might have different perspectives on D.C. that we can both learn from and share our knowledge with. What was one of your more challenging moments during the process? As I mentioned, facilitating conversations in a way that encouraged students to have a dialogue among them was a challenge, but a good learning experience for us. Initially, some questions were difficult for students to answer such as those that asked them to think about D.C. broadly, but over the course of the project it became easier to provoke conversation as we broke down things into more manageable pieces, like discussions about individual museums. Visiting the Hirshhorn as part of their study of light and dark. What was one of the most rewarding moments during the process? During one conversation, a student exclaimed to the class, “Guys! I know something!” I loved her enthusiasm, eagerness, and confidence in sharing her knowledge. This moment also summed up the project for me. 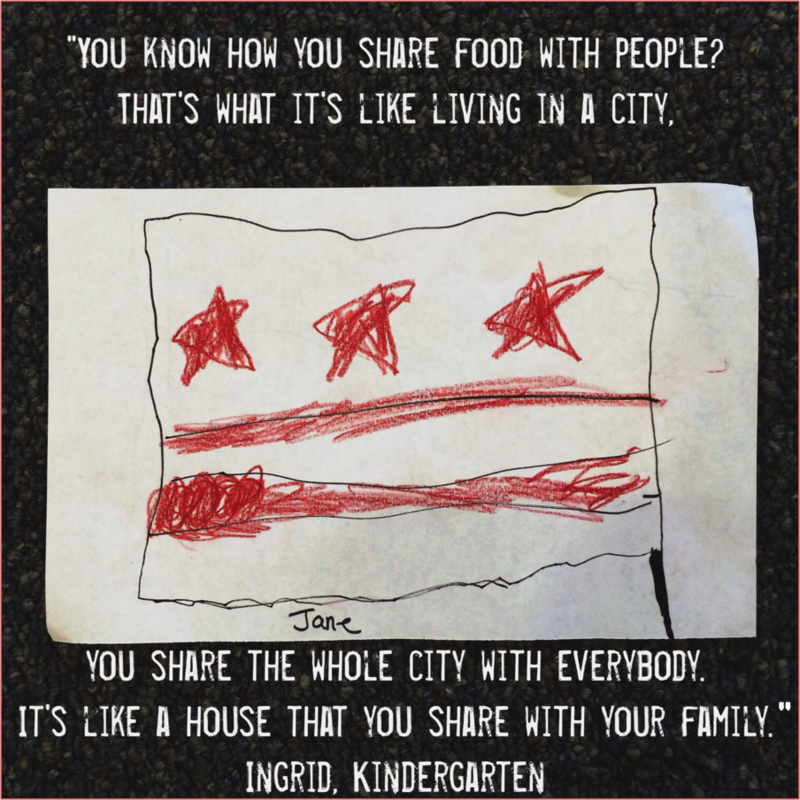 I wanted to help my students show that even though they are young, they know something, many things in fact, about their community and Washington, D.C and that their contributions to our understanding of our city are to be valued and heard.